Jacob Green was the son of Henry and Mary (possibly Perkins) Green. 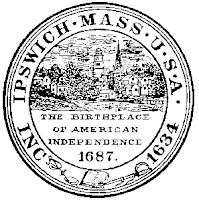 He was born about 1653 in Hampton, New Hampshire. His father was a successful businessman, who became involved in politics. Henry was a Justice of the Peace, Judge and a member of the King's Council. When he died he was one of the most prominent men in Hampton, if not the Province of New Hampshire. Henry left his son Jacob his mills, house and farm near Hampton Falls. Jacob, you could safely say, had a rather good start in life. Jacob waited rather a long time to marry. His first child was born in April of 1693. This puts him close to forty when he started his family. Of course for all we know, he could have married and lost his wife and none of it was recorded but I'll stick with what we do know and use a married by 1692 date. 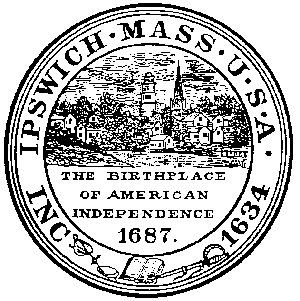 New Hampshire was first settled in the 1620s; Henry Green was there by 1645. By 1700, the colonist had put a small dent in the endless forest and had scratched out quite a few towns, most along the coast or rivers. Quality of life was improving. Inventory list reveal a growing number of luxury items imported from England and other European countries. The one thing that was not improving was the colonial relationship with the American Indians. The colonist existed in a near constant state of anxiety from the threat of Indian attacks. Garrison houses, protective fortified houses, were built all over New Hampshire. Families who did not live in a garrison house were assigned one as their refuge in time of attack. The memory of the death and destruction from King Philip's War in 1676 was probably never far from their minds. The Indian Wars that followed and were to occur for almost ninety years, were the direct result of European Wars. After King Philip's War the Native Americans in the New England allied themselves with the French who held Canada. Whenever hostilities flared between England and France, the New England colonist found themselves under attach by the French in Canada and their Indian allies. In 1689 Indians attack the town of Dover, NH killing many of the inhabitants. In 1690 Casco and Salmon Falls, towns in Maine, were attacked and burned to the ground. These attacks occurred during King William's War, 1688-1697. After a brief five year respite, Queen Anne's War of 1702-1713, brought renewed hostilities between the folks in New Hampshire and their French and Indian enemies. In 1703 Hampton was attacked and five colonist were killed. Jacob Green was raised in what seems like an incredibly stressful environment. He saw very few peaceful years in his life. He lost his cousin Abraham Perkins in 1677, killed in an Indian attack. Every able bodied man was required to train for the militia, including Jacob. By 1699 he had reached the rank of Captain. On 11 Oct 1703 the Governor ordered the garrison of Hampton to be beefed up and made ready for the women and children to shelter there if need be. Winter's harshness brought a respite from attack, but on March 27 1704 Captain Henry Dow and Captain Jacob Green were ordered to muster their soldiers and present themselves in one weeks time for deployment. They would be under the command of Major Winthrop Hilton. What action they might have taken was not recorded. Winthrop Hilton was an experienced Indian fighter and he led many expeditions against the French and Indians. He was killed in 1710 in an Indian fight. Despite the constant backdrop of war, life went on, as it does. In about 1692 Jacob, at long last, married a woman known to us only as Sarah. They had four children, two girls and two boys. The sharp division of labor between males and females, unchanged for centuries continued. Jacob ran the mills, farmed and performed his civic duties. He served as selectman for Hampton three times, and appeared on a jury. Of course he had an important role in the militia, serving as Captain from 1699 until 1720. Sarah, whose name only seems to be recorded when joined the church and when she died, took care of the house and children. Jacob and Sarah were members of the Church at Hampton Falls. In 1724 the church considered suspending Jacob from the church for "not doing his duty to his offend bros. for irregular walk and doings and contempt of church". I'm not really sure what that means, I wonder what irregular walk was??? Jacob Green died on 5 Nov. 1726 he was about 73 years old. His wife Sarah died on 18 April 1723, their daughter Abigail died five days after her mother. In 1733 Mary Green Longfellow MacRess was his only surviving child. Her brothers deaths were not recorded and apparently had no children. Jacob left a deed will giving all his land and mills to his Mary and Nathan Longfellow to use until their son Jonathan reached the age of 21. At that time he would inherit one half of his grandfathers estates. When Mary's son Jacob reached 21 he would inherit the other half of the estate. Ann Longfellow, was to be given a bed and bed frame upon her Grandfather's death and when boys, Jonathan and Jacob, reached the age of 21 each would give her forty pounds money. Eighty pounds is a pretty nice inheritance for a girl. The deed will is really long and wordy, but buried in the verbiage was one small word which I was disappointed to see. As Jacob was listing all his land and mills he added the words, "also my negrow". Did Captain Jacob Green owe a black slave? That's what it sounds like to me.